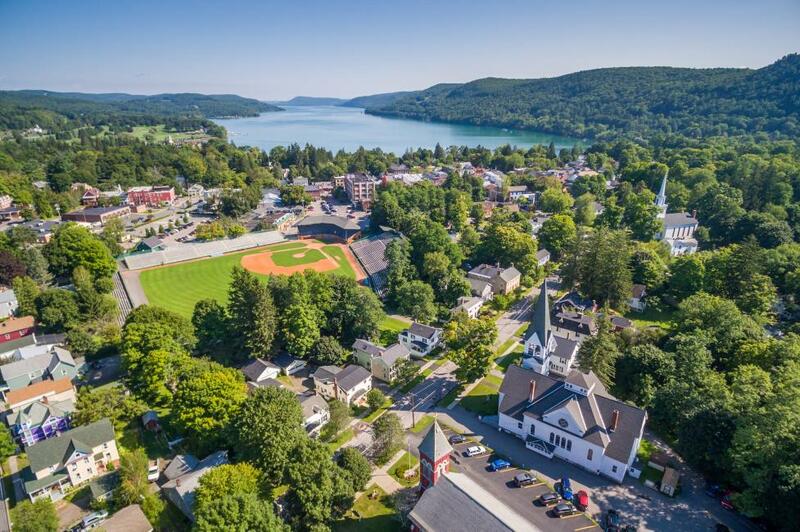 While the National Baseball Hall of Fame has given Cooperstown a sporty reputation, there is far more to discover in this town beyond the outfield. Imagine award-winning craft beer, art galleries, and music, all wrapped into a charming lakeside village. From Ommegang to Glimmerglass, here is your perfect weekend getaway in Cooperstown. Check into the Otesaga Resort Hotel, a grand Federal-style retreat on the shores of Otsego Lake, where you’ll enjoy a seasonally fresh menu at The Hawkeye Bar & Grill. 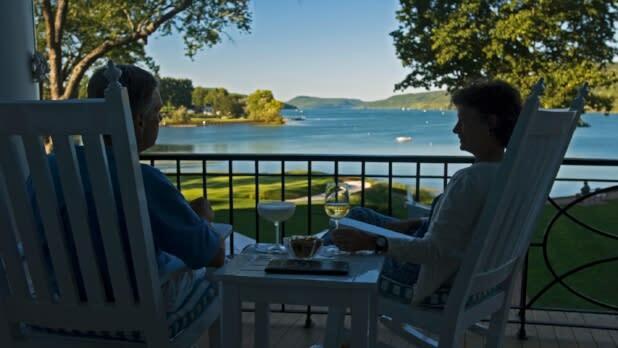 Top off your meal with a drink on the back deck overlooking Otsego Lake. This shining waterfront inspired the setting for Glimmerglass in The Leatherstocking Tales, James Fenimore Cooper’s series of five novels set in central New York, with The Pioneer particularly set in Cooperstown. Catch a show at the Glimmerglass Festival, a series of internationally renowned theater productions on the shores of Otsego Lake. In the summer, the Alice Busch Opera Theater hosts three operas and one American musical theater piece. 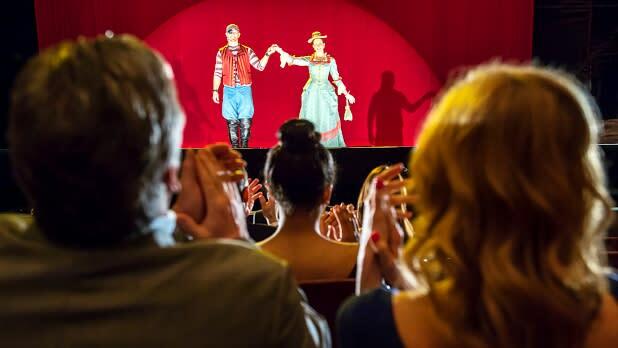 Don’t miss your chance to see some of the best opera and musical theater in New York! Head to the Cooperstown Diner for a classic all-American breakfast in their quaint Main Street diner. Whether you order a stack of pancakes, an omelet with bacon, or homemade biscuits and gravy, this breakfast is the perfect fuel to start your day. Whether or not you’re a “museum person” the exhibits in this town are sure to impress. 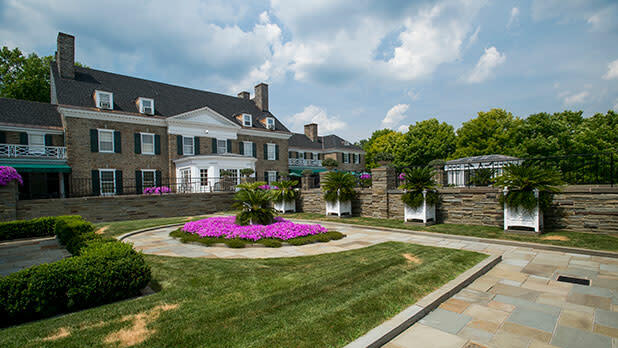 Walk across the street to the Fenimore Art Museum, a historic estate-turned-museum which houses renowned collections of folk art and American landscape paintings including works from the Hudson River School. Their permanent North American Indian collection features some of the most impressive artifacts and original artwork. Like we said, this town is about more than sports, see for yourself by visiting The Farmers’ Museum. One of the oldest living history museums in the US, this former working farm features exhibits, craft demonstrations, and hands-on activities that bring rural heritage and agriculture to life. Explore the 19th-century historic village, go on a horse-drawn wagon ride, witness craft demonstrations, and visit with the adorable farm animals. 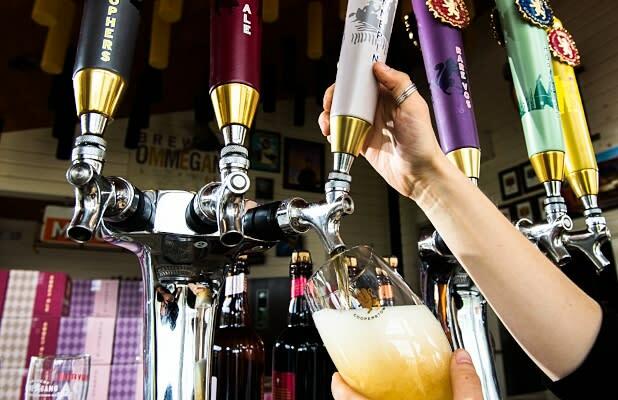 After your tour through history, recharge at Brewery Ommegang where a colorful food menu and award-winning craft beers await. Built in 1996, Brewery Ommegang takes its name from the first Brussels Ommegang Festival in 1549. Take a tour ($5) of the brewhouse, lagering cellar, and packaging hall. A tasting is an additional $10 a person. After, relax in the café’s dining room or enjoy the scenic views out on the outdoor patio. 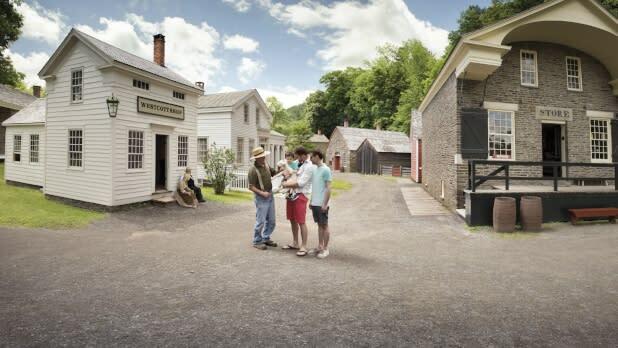 New York State was once the nation’s biggest hops-producer, and Cooperstown is now a particular national hotspot for tasting brews along the 37-mile long Cooperstown Beverage Trail. Open until 10 pm from Memorial Day Weekend through Labor Day Weekend (this attraction is closed other months except for private parties), Barnyard Swing in Milford is a family fun center with seven activities (including an 18-hole miniature golf course) onsite just four miles south of Cooperstown. Play Wild West laser tag with the whole family or have the kids mine for their own gems (which they can take home) and create their own hand-stamped jewelry. Don’t forget to grab a cone of soft-serve at the Sassy Cow Ice Cream Counter. It’s okay to have dessert first sometimes. 8 pm: Pesto fries, anyone? Grab dinner at Mel’s at 22 which offers a diverse menu of flavorful American cuisine in a stylish, intimate atmosphere. Try their pesto garlic fries—you’ll be glad you did. Check out Danny’s Main Street Market for an egg and cheese or fresh-baked croissant or another savory breakfast bite. Located in the heart of the village, it&apos;s a perfect stop on the way to your next destination. 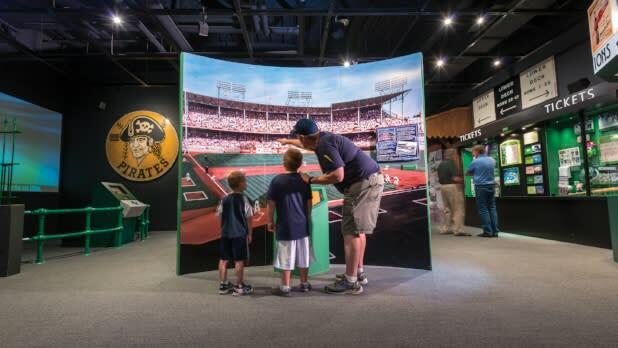 Baseball fan or not, if you’re in Cooperstown you have to go to the National Baseball Hall of Fame and Museum—there’s no question about it. From Babe Ruth&apos;s glove used in the 1926 World Series to Derek Jeter’s batting helmet and gloves worn during his 3,000th hit, this place has everything. It’s the place to go for all things baseball, and a wonderful dive into American culture and history. Recharge with a hearty burger, sandwich, or craft beverage at Doubleday Cafe. Conveniently located on Main Street, this lively, family-friendly eatery has everything you’re craving. And make sure to top off your sporty morning with a trip to Doubleday Field, where Babe Ruth himself once batted a record-breaking 500-foot homer over its right-field fence. James Fenimore Cooper, the author of The Last of the Mohicans, based many of his creations on New York’s landscape, including right here at Otesego Lake which inspired the setting for “Lake Glimmerglass” in The Deerslayer. Indulge in the beauty of Glimmerglass State Park where the lake shores, sandy beaches, and hiking trails will take you to a bygone era. Pro tip: Hyde Hall, a neoclassic National Historical Landmark and rumored to be haunted mansion, is located on the park grounds where tours are offered daily. 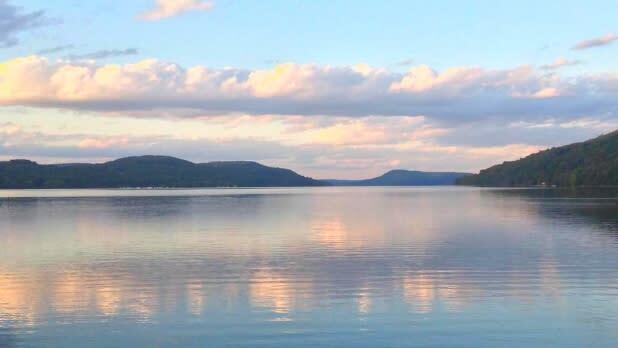 Catch more scenic lake views on a Glimmerglass Queen boat tour.